By now many of you have seen this type of math problem crop up on Facebook pages and Twitter feeds as an example of the absurdities found in the common core standards. I'd like to take this opportunity to tell you that this is NOT a common core standards problem. 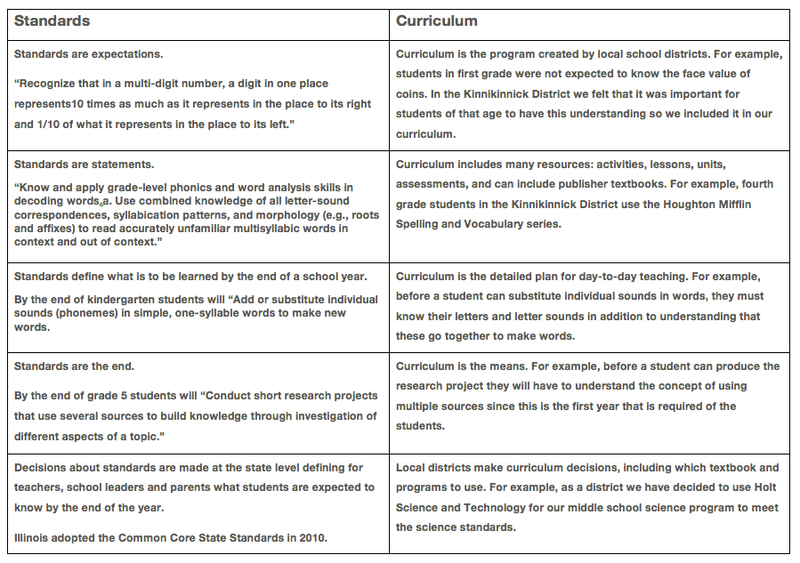 In the example,what you are seeing is a teacher's or district's misinterpretation of the standards. In the examples given, the problems designed with the common core standards in mind require the students to engage in higher level thinking. Key information about the background of the Standards, what the changes mean for students and resources where parents can learn more. Explains the biggest instructional changes in ELA and math. Provides guidance about what the standards call for students to be able to do in grades K-8 in math and ELA by the end of each grade level. Helpful tips for parents are also included.